Serum was obtained from naive (non-immunized) rabbits and purified for use as normal rabbit IgG. Lyophilized from a 0.2 μm filtered solution in PBS with Trehalose. 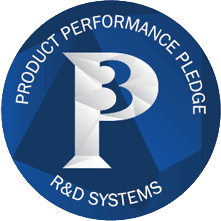 Negative control for use in conjunction with R&D Systems antibodies. Use at the same concentration as the detection antibody. 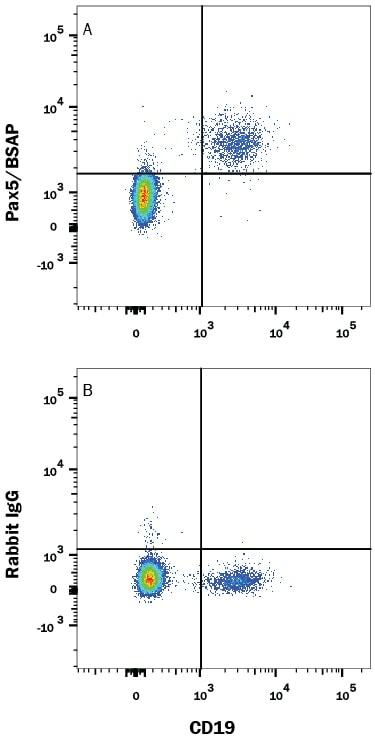 Detection of Rabbit IgGControl by Flow Cytometry HepG2 humanhepatocellular carcinoma cell line was stained with Rabbit Anti-HumanKlotho beta Monoclonal Antibody (Catalog # MAB58891,filled histogram) or Rabbit IgG Isotype Control Antibody (Catalog # AB-105-C,open histogram), followed byAllophycocyanin-conjugated Anti-Rabbit IgG Secondary Antibody (Catalog #F0111). 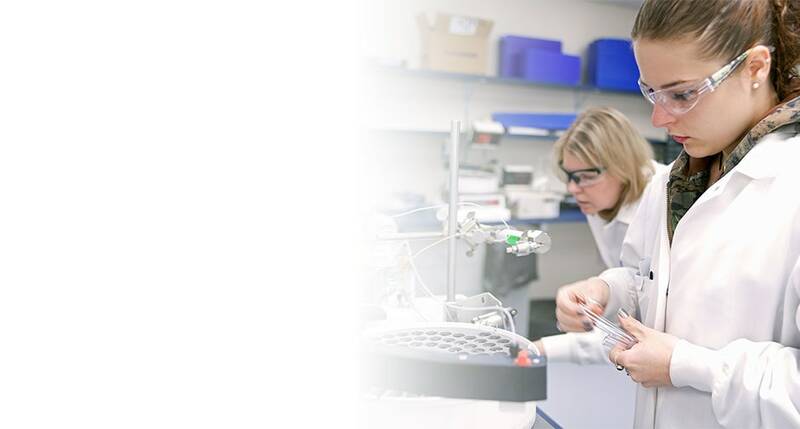 View our protocol for StainingMembrane-associated Proteins. Dissolve the lyophilized rabbit IgG in sterile PBS, pH 7.4. 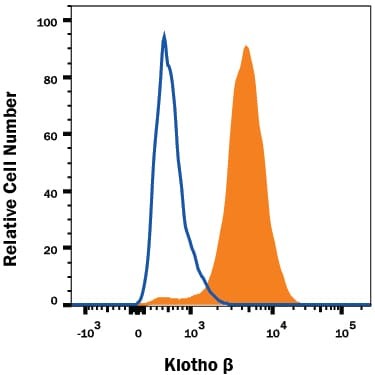 If 1 mL of PBS is used, the antibody concentration will be 1 mg/mL. T-cell receptor alpha enhancer is inactivated in alphabeta T lymphocytes. Proc Natl Acad Sci U S A, 2015;112(14):E1744-53. Convergence of cMyc and beta-catenin on Tcf7l1 enables endoderm specification. A transient wave of BMP signaling in the retina is necessary for Muller glial differentiation. Bmi1 limits dilated cardiomyopathy and heart failure by inhibiting cardiac senescence. HEB associates with PRC2 and SMAD2/3 to regulate developmental fates. Th17-type cytokines, IL-6 and TNF-alpha synergistically activate STAT3 and NF-kB to promote colorectal cancer cell growth. CD4(+)Foxp3(+) Tregs protect against innate immune cell-mediated fulminant hepatitis in mice. Nerve growth factor and proNGF simultaneously promote symmetric self-renewal, quiescence, and epithelial to mesenchymal transition to enlarge the breast cancer stem cell compartment. Optimisations and Challenges Involved in the Creation of Various Bioluminescent and Fluorescent Influenza A Virus Strains for In Vitro and In Vivo Applications. A discrete chromatin loop in the mouse Tcra-Tcrd locus shapes the TCRdelta and TCRalpha repertoires. Specification of Vdelta and Valpha usage by Tcra/Tcrd locus V gene segment promoters. An anti-silencer- and SATB1-dependent chromatin hub regulates Rag1 and Rag2 gene expression during thymocyte development. Stearoyl-CoA desaturase 1 and paracrine diffusible signals have a major role in the promotion of breast cancer cell migration induced by cancer-associated fibroblasts. Characterization of In Vitro Engineered Human Adipose Tissues: Relevant Adipokine Secretion and Impact of TNF-alpha. Discovery of molecular markers to discriminate corneal endothelial cells in the human body. Suppression of Hyperactive Immune Responses Protects against Nitrogen Mustard Injury. MicroRNA-188 regulates age-related switch between osteoblast and adipocyte differentiation. NADPH oxidase-independent formation of extracellular DNA traps by basophils. Proteomic analysis of the action of the Mycobacterium ulcerans toxin mycolactone: targeting host cells cytoskeleton and collagen. PLoS Negl Trop Dis, 2014;8(8):e3066. In vivo neuronal action potential recordings via three-dimensional microscale needle-electrode arrays. Cholesterol crystals induce complement-dependent inflammasome activation and cytokine release. Autophagy fosters myofibroblast differentiation through MTORC2 activation and downstream upregulation of CTGF. Developmentally programmed 3' CpG island methylation confers tissue- and cell-type-specific transcriptional activation. A soluble fucose-specific lectin from Aspergillus fumigatus conidia--structure, specificity and possible role in fungal pathogenicity. CX3CL1 expression in the conjunctiva is involved in immune cell trafficking during toxic ocular surface inflammation. Stemness markers characterize IGR-CaP1, a new cell line derived from primary epithelial prostate cancer. Proteolytic release of the receptor for advanced glycation end products from in vitro and in situ alveolar epithelial cells. Am. J. Physiol. Lung Cell Mol. Physiol., 2011;300(4):L516-25. The sensing of environmental stimuli by follicular dendritic cells promotes immunoglobulin A generation in the gut. Tumor necrosis factor alpha as a new target for renal cell carcinoma: two sequential phase II trials of infliximab at standard and high dose. Endothelial damage from cytomegalovirus-specific host immune response can be prevented by targeted disruption of fractalkine-CX3CR1 interaction. Increase in transforming growth factor-beta in the brain during infection is related to fever, not depression of spontaneous motor activity. Metastable tolerance to rhesus monkey renal transplants is correlated with allograft TGF-beta 1+CD4+ T regulatory cell infiltrates. Natural and induced CD4+CD25+ cells educate CD4+CD25- cells to develop suppressive activity: the role of IL-2, TGF-beta, and IL-10. Wnt regulation of progenitor maturation in the cortex depends on Shh or fibroblast growth factor 2. Have you used Normal Rabbit IgG Control?